Pakistan government also said that three-day prior information of the visiting pilgrims will be needed before the entry of Sikh pilgrims through the planned Kartarpur Corridor. 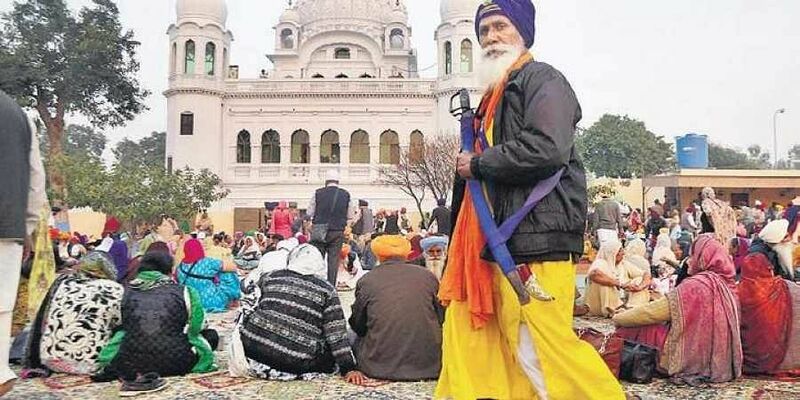 ISLAMABAD: Not more than 500 Sikh pilgrims will be allowed per day through the Kartarpur Corridor and a database of the pilgrims with their travel history will be maintained, Pakistan has said in a draft agreement that it plans to send to the Indian Government for signing. In the agreement, Pakistan government has also said that three-day prior information of the visiting pilgrims and security clearance by the Indian side will be needed before the entry of Sikh pilgrims through the planned Kartarpur Corridor. According to the proposed agreement, which is widely circulated in the Pakistani media, Islamabad will reserve the rights to refuse entry into its territory, reduce the period of stay or terminate the stay of any pilgrim despite the grant of permit if it considers him/her a threat to the country or finds undesirable for security or other purposes. The draft also underlines that entry in Pakistan territory will be permitted based and a passport is compulsory and the pilgrims will not be exempted from the obligation to respect laws and regulations of Pakistan after entering in its territory. "All laws must be respected not just concerning entry and exit," the proposal stated. The pilgrims will be subjected to several terms and condition including the creation of a database which contains information about their names, travel history and other relevant information. The draft added that while the purpose of the agreement is to facilitate visa-free travel, still India will have to give three-day prior information of the visiting pilgrims and they will need to Indian passports and individual security clearance issued by Government of India. The agreement also proposes the establishment of infrastructure on both sides, including facilitation centres and counters for running security check and issuance of permits for the facilitation of the pilgrims. The proposal states that the corridor will remain open from 8 am to 5 pm every day. On November 28, Pakistan Prime Minister laid the foundation stone of the Kartarpur Corridor along the India-Pakistan border. Once opened, it would allow Sikh pilgrims direct access to the historic Gurudwara Darbar Sahib in Kartarpur, Pakistan, where Guru Nanak Dev died in 1539.